hange is the only constant, and it comes at us fast. Developments in information, science and technology open new possibilities every day — and add new questions for the law to answer. The legal academy must be predictive to keep pace. 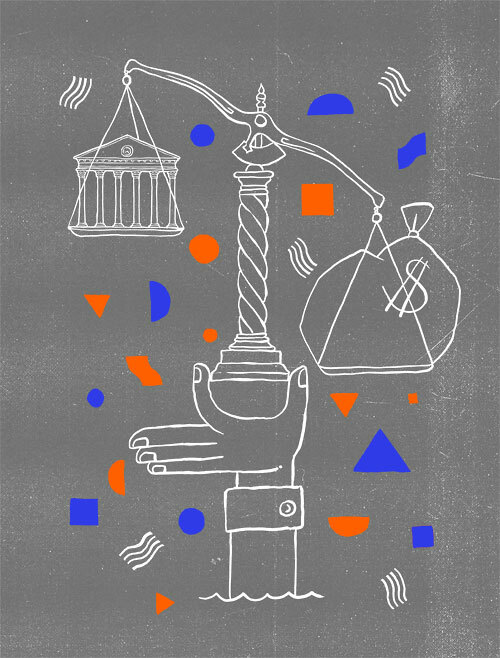 UVA law faculty make it their business to identify the trends that will affect the law and our greater society, often many years into the future. What does the future hold? Prepare to be astonished — or at least better informed — as the faculty bring you their latest predictions. In the future, whom do you sue if you’re injured by a driverless car? Hint: It might not be human. Professor Kenneth Abraham, one of the nation’s leading scholars and teachers in the fields of torts and insurance law, says plaintiffs in automated car accidents will sue the manufacturer in the years ahead. Abraham has co-authored a paper with Stanford University law professor Robert L. Rabin that suggests a new legal framework for handling car accidents should no longer include the tort system or manufacturer liability for product defects. “We think that once there is a critical mass of self-driving cars on the road, the manufacturer should automatically be liable for all injuries ‘arising out of’ the operation of the vehicle,” Abraham said. The professors call their concept Manufacturer Enterprise Responsibility, or MER. Under their proposed regime, automakers would pay into a fund with strict responsibility to compensate victims of bodily injuries, resulting in greater efficiency in delivering claims than today’s system, they contend. Driver error, in theory, will no longer be a significant factor in accidents as highly automated vehicles become more reliable — so blame-shifting should become less relevant. And according to rosier industry predictions, driverless cars are forecast to reduce the accident rate by as much as 80 percent. MER would include some exceptions to manufacturer responsibility, such as acts of terrorism. Futurists have loudly warned that vehicles governed by code and connected to the internet could be rife for hacking by terrorists. Kenneth S. Abraham is a David and Mary Harrison Distinguished Professor of Law. The military will increasingly use predictive algorithms to thwart attacks. But can we trust this AI? Police departments and the courts already use machine learning tools to help them understand criminal activity and assess risk. The military will increasingly apply the same types of technology to help prevent devastating terrorist attacks and to fight its armed conflicts, according to Professor Ashley Deeks, an expert on national security law who previously served in the State Department’s Office of the Legal Adviser and at the U.S. embassy in Baghdad. Machine learning models can filter through a seemingly endless supply of information about individuals, collected from a wide range of sources, including the technologies we interact with daily, to help make assessments about future behavior. Who is communicating with whom? Where do they go and how often? Does the data indicate trends or unusual activity? A subset of this technology, known as “deep learning” artificial intelligence, can detect patterns in vast amounts of data and, based on those patterns, predict the likelihood that a certain event—such as a roadside bomb attack — will occur. Deeks said such technology could potentially result in assessments that are more sophisticated and accurate than a human analyst can perform. But advanced AI might also lead the military to target or detain based on opaque reasoning that commanders may struggle to explain, she said. For the military, the obvious inclination would be to use the new tools under a veil of secrecy. “Because military operations face fewer legal strictures and more limited oversight than criminal justice processes do, the military might expect — and hope — that its use of predictive algorithms will remain both unfettered and unseen,” she wrote. Deeks said that would be a misguided policy. The U.S. is said to have collectively detained at least 150,000 people in association with the Afghanistan and Iraq conflicts that followed the Sept. 11, 2001, attacks. The widespread detention of combatants during those conflicts led to the disclosure of numerous international law violations. Public backlash followed. That kind of scandal could resurface, she said, if the military uses predictive algorithms to guide targeting or detention but remains secretive about the use. But, she added, the quality of the data used to develop the algorithms, transparency in how the computer models make decisions and sufficient oversight mechanisms would be among ways that the military could garner public trust in the technology as it’s being implemented and refined. Ashley Deeks is the E. James Kelly, Jr.–Class of 1965 Research Professor of Law and a senior fellow with the Center for National Security Law. Corporate shares could become traceable (again). That means an asset could also become a liability. Who owned your stock immediately before you? And before that? It might make sense to know — and for financial markets to track this history — for any number of reasons. That was the case in the early 1900s, before the volume of trading got too unwieldy. Professor George Geis, an expert in business law and corporate finance, argues in a new paper that traceable shares could return through the use of blockchain, the technology that underlies bitcoin. The cryptocurrency’s digital ledger is publicly avail­able, providing an unambiguous history of owner­ship. The technology could be used to clear stock transactions in real time, transforming the current business model of clearance. Such a change would lead to greater transparency and, perhaps, new legal responsibilities. “I think the availability of trace­able shares would allow us to begin to ask really interesting questions about the locus of corporate liabil­ity,” Geis said. Among them: Would it be “buyer beware,” or could previous share­holders be sued for corporate misdeeds that arose during their ownership tenure? Geis said the technology could also simplify the process of determining certain shareholder rights — including ones that don’t exist yet but could be added. Geis noted that some countries are already launch­ing pilot programs in this area and that some compa­nies are already issuing securities that are connected to a distributed ledger. George S. Geis is the William S. Potter Professor of Law and the Thomas F. Bergin Teaching Professor of Law. Offshore accounts will become a thing of the past. But will tax cheats find a new haven? It’s becoming harder to hide money from the IRS in overseas banks, according to Professor Ruth Mason, an international tax expert whose amicus briefs have helped persuade the U.S. Supreme Court. In the near future, it may be virtually impossible. Following the most recent financial crisis, the United States passed a controversial piece of legisla­tion known as FATCA: the Foreign Account Tax Com­pliance Act. The 2010 law requires transparency by both foreign financial institutions and the U.S. citizens who collectively sock away billions in their vaults. They must disclose the client’s name, address, ac­count number, balance and more. Failure to comply can result in severe penalties for banks and taxpayers. 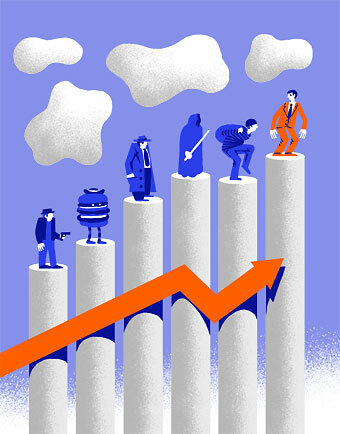 The aggressive tactic, while un­popular, has worked. Blank and Mason predicted that criticism of FATCA from other countries would give way to emulation. In the years since the article, coop­eration among countries through intergovernmental agreements has only grown, Mason said, and will continue. Bitcoin investors, she said, are becoming notorious for either not reporting, or underreporting, income. The extent to which the IRS steps up enforcement of bitcoin and other cryptocurrencies may be the factor that determines their future as a replacement tax dodge. Ruth Mason is the Class of 1957 Research Professor of Law. Questionable forensic assumptions will continue to be exposed. Electronic evidence may fill the void. As director of investigation for the Innocence Project at UVA Law, Professor Deirdre Enright ’92 reviews the latest scientific claims for and against the validity of methods of forensics used in prosecutions. DNA evidence is considered to be highly accurate when assessing guilt in a courtroom. So-called “junk science,” however, has led to the con­victions of innocent people. Methods of hair, bite mark and fingerprint analysis are among the tech­niques that have been called into question. The latest scientif­ic assumption set to topple is shaken baby syndrome, Enright said. For several decades, a community of medi­cal experts has claimed that the presence of three symptoms in an infant — brain swelling, blood pooling in the two outermost meninges (layers that protect the brain) and bleeding behind the eyes — equate to iron-clad evidence of trauma. The injury would presumably come from a caregiver shaking or mishan­dling the child. In recent years, however, defense lawyers have utilized scientific knowledge to push back. The Innocence Project recently represented a Northern Virginia woman who was con­victed of shaking a baby at her home day care. She served prison time, despite no witnesses to the alleged abuse and no history of problems with her caregiving. The woman won’t be able to challenge her con­viction, however. The courts declined to revisit the case, and she was deported despite a request for pardon. As the legal system understands more about physical forensic science, and where it’s fallible, electronic evidence may take on increased salience, according to Enright and others on the UVA Law faculty. 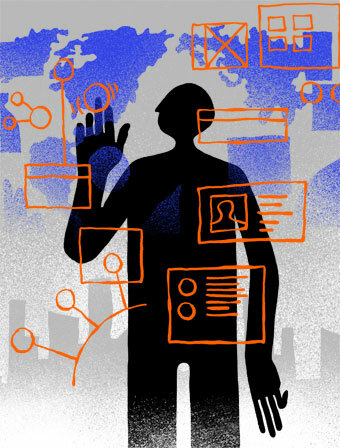 The devices that we use in our daily lives create virtual footprints. Metadata fills in the details. “The question of when and whether the government can collect metadata on individuals is and will continue to be a pressing Fourth Amendment question,” said Professor Josh Bowers, an expert in criminal procedure. But can electronic forensics be mis­interpreted or misapplied as well? Enright foresees the possibility. Regardless of the forensic technique, jurors may hold misconceptions that slow progress. A recent study by UVA Law professor Greg Mitchell and Duke Law professor Brandon Garrett found that jury-eligible adults still placed great weight on fingerprint evidence — even when compared to DNA evidence. Deirdre Enright ’92 is director of investigation for the Innocence Project Clinic and professor of law, general faculty. Josh Bowers is professor of law. Greg Mitchell is the Joseph Weintraub–Bank of America Distinguished Professor of Law. Should The Accused Be Free Before Trial? When a judge considers bail for an accused person, she is assessing risk. Courts are increasingly using new machine-learning tools to help make decisions about pretrial release. But could the data contain biases against protected classes based on, say, ZIP code or other factors? Professor John Monahan, an expert in risk assessment, is cur­rently directing The Pretrial Risk Management Project for the John D. and Catherine T. MacArthur Foundation. The project fosters dialogue among behavioral scientists, human rights lawyers and statisticians fluent in machine learning about what the technology gets right, and where it can possibly go wrong. John Monahan is the John S. Shannon Distinguished Professor of Law; Professor of Psychology; and Professor of Psychiatry and Neurobehavioral Sciences. Showing up for court is so 2017. It will become harder to form a class; arbitration will flourish. Americans have already grown used to online dispute resolution to handle disagreements be­tween buyers and sellers. A similar process may be coming soon to the courthouse nearest you. Pilot ODR programs are currently being tested in county courts across the U.S. Professor Michael Livermore, who studies where new technology intersects with the law, said companies like Modria, an ODR company led by the team that pioneered the technology’s use for eBay, are leading the push to expand into small claims, landlord and tenant disagree­ments, debt collection, civil contracts disputes and other matters. Livermore believes these ef­forts could be transformative. “Instead of going into court to resolve a dispute between two neighbors over a fence, is there a way to move that online to re­duce the burdens of the court system, give people resolutions faster and do it in a low-cost way?” he said. For larger matters affecting more plaintiffs, class actions have traditionally been the way to go. But forming a class in the future may be more of a chal­lenge than in the past. Increasingly, to do business of any kind, one must agree to arbitration in case of a dispute. That includes going to work. Earlier this year, the Law School’s Supreme Court Litigation Clinic lost Epic Systems Corp. v. Lewis in a 5-4 labor law decision. The court’s ruling effectively ended the right for employees to jointly pursue legal action (either through arbitration or the courts). Employers, moving forward, may see little reason not to impose mandatory arbitration agreements. Professor A. Benjamin Spencer, an expert in civil procedure, said the future of class actions of any kind hinges on the bar set by the federal courts, which have refined what qualifies in recent years. “We could see fewer class actions in federal court and more forced arbitration if the court continues to move to­wards tightening class action standards and an ever-broad­ening interpretation of the Federal Arbitration Act that validates mandatory arbitra­tion clauses in more contexts,” Spencer said. Professor Jason Johnston, whose expertise is in law and economics, sees the apparent trend of using arbitration to avoid class actions, and poten­tially court, as a good thing. Michael Livermore is professor of law. Dan Ortiz is the Michael J. and Jane R. Horvitz Distinguished Professor of Law. A. Benjamin Spencer is the Justice Thurgood Marshall Distinguished Professor of Law. Jason Johnston is the Henry L. and Grace Doherty Charitable Foundation Professor of Law, Armistead M. Dobie Professor of Law, and director of the John M. Olin Program in Law and Economics. The doctor’s office may soon become the lawyer’s office, too. Medical-legal partnerships are on the rise. Why does the United States have statistically worse medical outcomes than other nations in the industri­alized world? Part of the answer, according to Pro­fessor Dayna Bowen Matthew ’87, is that social conditions that impact health are not equal for everyone in the U.S.
Medical-legal partnerships are helping to change that. MLPs are co­ordinated efforts between lawyers and the health care providers to enforce laws “that give everyone an equal opportunity to be healthy,” Matthew said. Often embedded on-site, the lawyers aid physi­cians and their patients in legal matters that may influence the patients’ health — even more dramati­cally than medicine, genetic history or the patient’s own behaviors, she said. These attorneys may be challenging landlords who provide substandard living conditions one day, working on environmental policy proposals the next. In a report last year for the Brook­ings Institute, where Matthew is a nonresident senior fellow, the health law expert explained that the partnerships save lives — and do so affordably. “The model has demonstrated its po­tential to improve vul­nerable populations’ health, at a reasonable cost, by improving the social conditions in which they work, play and live, but MLPs can reach only a small fraction of the populations that most benefit from their ser­vices, until they are sustainably fi­nanced,” Matthew wrote. As of 2017, medical-legal partner­ships could be found in 155 hospitals, 139 health centers and 34 health schools across the country. Matthew co-founded the Colora­do Health Equity Project, a medical-legal partnership incubator, in 2013. UVA has a medical-legal partnership as well. With an aging population, and more awareness of how health dis­parities affect the poor, women and people of color, is this, then, a model for future growth? Matthew said yes — but only if social awareness and social spending continue to rise to meet the challenge. Big data will transform the legal field. What changes are ahead for lawyers and the legal academy? Attorneys and law professors alike already rely on advanced data sets to form conclu­sions about information. Where will this lead? Law firms of the future will more frequently review the text of past court decisions in an at­tempt to predict or sway future ones, according to Professor Michael Livermore, who researches court decision-making. Algorithms can reveal, for example, preferred wording that might appeal to a judge. Courtroom advantage aside, he said, saving money for clients will be the main driver of change — with formulaic, high-volume legal work leading the way. The discovery pro­cess has already become highly automated. At the Law School, Livermore and Professor Mila Versteeg are among those on the cutting edge of big-data legal analysis. As a founder of empirical comparative consti­tutional law, Versteeg sorts through the world’s constitutions in order to spot trends. By coding 200 variables from the constitutions of 200 coun­tries, she learned, for example, that fewer na­tions have been following the U.S. constitutional model, long assumed to be widely influential. Versteeg won a 2017 Andrew Carnegie Fellow­ship to further her work on the intersection be­tween constitutional law and rights enforcement. For everyday practitioners and those who don’t “do” numbers, however, there will be a product. Livermore is teaching a course this fall to help law students get accustomed to some of the new analysis tools. In the case of artificial intel­ligence products, whereas some might view the technology as potentially taking away jobs, Livermore sees them as just as likely to spur competition. The ability to customize a legal ar­gument — at which human lawyers excel — might become even more valuable, he argued. In other words, lawyering should remain a safe career choice. Michael Livermore is professor of law. Mila Versteeg is the Class of 1941 Research Professor of Law.